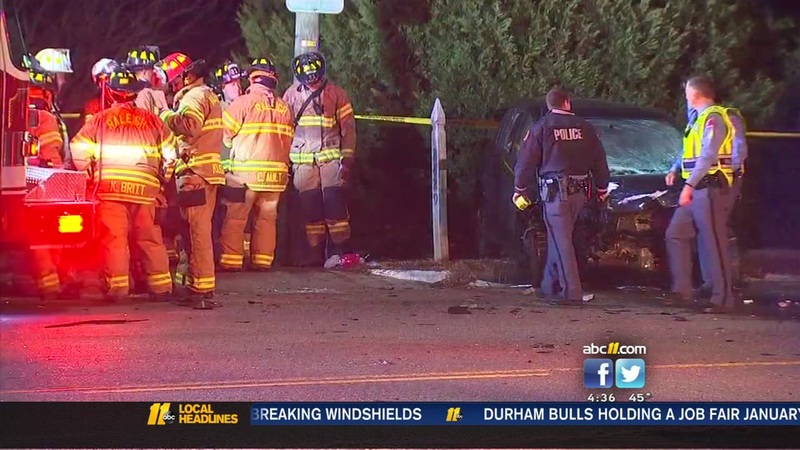 RALEIGH, North Carolina (WTVD) -- Raleigh police said one person was killed in a two-car crash on New Hope Road Tuesday evening. It happened shortly after 8:10 p.m. on New Hope Road. Police said Carlos Enrique Berrios, 44, drove his car left of center and collided head-on with a Nissan, driven by Martha Maria Leak. Berrios, of Water Oak Drive in Raleigh, was pronounced dead at the scene. Leak, 35, was rushed to WakeMed with serious injuries, police said. Police said both Berrios and Leak were wearing seatbelts. Alcohol is not believed to be a factor.